William Beutler is the founder of Beutler Ink, a digital agency specializing in visual design, content marketing, and Wikipedia engagement. He is the author of an e-book, Wikipedia and the Communications Professional, and in 2014 coordinated a joint statement by the world's largest marketing and PR firms pledging to follow Wikipedia's rules. He is @williambeutler on Twitter. 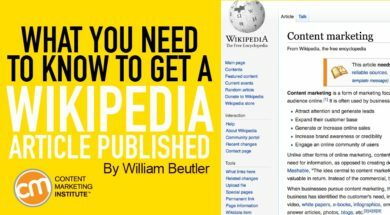 Since 2001, Wikipedia’s community of volunteer editors has created more than 5 million pages, many of them found on Google’s first page of search results for that topic. Wikipedia’s ubiquity bestows upon it the ability to lend its credibility to other subjects, which is attractive for companies and organizations who crave recognition.